How Efficient is Your School Spending? It’s tempting to assume that bigger budgets will directly benefit kids. The formula may not be that simple, however, if we define “benefit” in terms of academic achievement. While programs to improve student wellness have been in schools for years, some districts now are focusing on staff health as well. Teachers in Batesville, Indiana, have participated in fitness competitions and this year some are training for a mini-marathon. Everyone knows the transition to high school can be a challenging one. Thats why high schools have initiated summer camps for incoming freshman and special programs that track and support students who experience difficulty during the first months in their new surroundings. On a mission to improve student performance, some schools are starting boot camp-like programs to motivate kids before state tests. Student recruits march, chant, do sit ups, and pull for their battle buddies. Included: Tips for setting up a boot camp. When funding became available for staff book clubs, educators in Hamilton County, Tennessee, jumped at the chance to read professional literature. Teachers continue to read and discuss books about instructional and professional development strategies. Every school experiences its share of challenges, but an invisible were-all-in-this-together spirit can go a long way toward carrying a school community through the highs and lows of a year. Included: Principals share their favorite spirit-building activities. One district recently challenged school leaders and other staff 93 identify ways to reduce energy consumption and help cut the districts electric bill. In return, schools that reduced consumption the most got to share in the savings. Could this idea work in your district? Principals try to cultivate traits that improve communication, demonstrate respect, and inspire vision. They say the key to whether those traits take hold school-wide lies in their modeling of them. Included: Principals share the principal traits that matter most. Whether they launched their podcasts at the suggestion of a parent or the gentle prodding of a tech-loving staff member, principals who have tried podcasting repeat the same refrain -- it is easy, inexpensive, and effective. Included: Learn about the free podcasting tools. Administrators at the school and district level are finding that inviting parents and community members to chat over brown-bag lunches gains them allies in the community and helps keep everyone informed. Included: Tips and topic ideas for brown-bag lunches. Camping enthusiast and principal Scott Myers initiated a series of campfire chats with students to free up some planning time for teachers and give students a chance to talk with him in an informal setting. Included: Activities that spur discussion with kids. Their mission is to take charge of a failing or struggling school and try to turn it into a model institution. These turnaround principals bring formal training, insight, and instincts to their jobs. Included: Turnaround principals share strategies. For too long, teacher-to-teacher communication meant exchanging weekend plans in the faculty room. In professional learning community schools, teachers develop interim assessments, common goals, and share best practices. Looking for a way to encourage more collaboration and reflection among his staff, principal Terry Bradley worked with university professors to implement peer walk-throughs. The observations and discussions have changed the way teachers teach. To reduce the number of teachers lost to other schools or professions, administrators at two schools initiated programs to acclimate teachers new to the profession and the school to help them feel part of the family. Included: Tips for helping new teachers feel at home. Principal Dr. Gerald Gary knew his students could do better -- he just had to convince them and their families. He improved student achievement and changed the schools culture by setting high expectations for everyone in the building. Hard-to-reach students are a vexing problem at any age. Some schools are seeing success with reluctant learners by combining personal attention, high expectations, personal technology use, and flexible schedules. Included: A school for reluctant learners. When principal Stephen King decided that struggling readers needed earlier and better intervention, he plunged in with his staff to revamp instruction, assessment, and the curriculum. Test scores rose and the number of special education students declined. Rather than lamenting the lack of parent involvement, one Florida elementary school principal decided to reach out to parents and offer them a degree in how to be active parents. The schools Parent University graduated its first class of eager volunteers. Seeking new and motivating approaches to encourage students to excel on standardized tests, some administrators are borrowing the format of the program Are You Smarter Than a 5th Grader? to hold family game nights that prep students for those tests. Here I was, thinking that I was in charge of the instruction occurring within our walls. Then it hit me. I found myself simultaneously astonished and inspired at the lessons that were delivered to me by the very students to whom Ive pledged to deliver lessons. Weve got district initiatives, government regulations, grant stipulations, contracted obligations, state mandates Heck, our plates are full! Lets remove some of the clutter from our plates by removing some of the clutter from our teachers plates. Three schools have used a powerful process that mirrors the presidential electoral process to choose candidates and vote for a school mascot -- a representative symbol that will encourage, inspire, and sometimes entertain them for years to come. As you prepare to interview for that next school leadership position, Education Worlds Principal Files team offers questions you might ask when the interviewers invite your participation. Included: Ten principals offer the questions they wished theyd asked. Students pledge to read thousands of pages. First- and fifth-graders buddy up for reading. Those events and others are part of school-wide reading programs at two Minnesota schools. Included: Additional activities to help make reading a school-wide goal. In an effort to improve school bus behavior, two elementary schools started the Bus of the Month program, honoring the bus with the most thumbs up for good behavior in one month. Included: A description of a unique bus behavior program. Most schools have a staff member or two who stand out for their negative attitudes. Allowed to fester, that attitude could infect others and eventually an entire school community. Included: Principal Files team members share how they handle negativity. Teachers at one Rhode Island elementary school are spearheading school-wide improvement, and the results have been positive. Principal Victor Ventura guides the improvements, but the teachers energy and commitment are making it happen. A library media specialist thought posters showing real men reading and men talking about the benefits of reading could be just the thing to encourage more boys to pick up books. The Real Men Read program is so successful that it has spread to other schools. When Constance Burnes saw her efforts to improve student behavior and performance at Wilkerson Middle School pay off, she listened to the students when it came to deciding on a reward. She invested in a high-tech game room that is a powerful student motivator. Are you a principal who is looking for a special way to promote and model reading for fun? You can share your love of reading and set a great example for students by reading aloud the five books that are nominated for the 2009 Principal’s Read Aloud Award. Despite the pressures on schools to focus more on academics, Dr. Shannon Vincent is convinced it's her job as principal to teach students the value of service. She began a year-long, school-wide service program that engages students and their parents. Many principals have the training and desire to work on curriculum and instructional strategies, but are buried under administrative tasks. School Administration Managers (SAMs) free principals to meet with students and teachers to improve instruction and learning. >>>>>>> .r19504 Today it hit you: Youre the CEO (Chief Everything Officer) at your school, and as much as you love your job, youre beginning to feel a bit down. But remember: the principal sets the mood. If youre feeling down or overwhelmed, it might be HULA time! Is your schools main office set up to be a truly welcoming place? Is its layout conducive to conducting business? Are there tools in your office that you couldnt live without? Our Principal Files team answers those questions and offers tips for improving the office environment. A few years ago parent groups were angered by news that recess was being eliminated at many schools. A new report shows that most elementary schools continue to offer recess, although children may get less time to play. Chances are the stars on your staff dont expect or require recognition, but you want to recognize and support them in any way you can. So just how do you reward their above-and-beyond efforts? Members of our Principal Files team share what they do. Are you a principal with charisma? While it is good to caution against blindly following charismatic leaders, Pete Hall issues a word of defense for all our charismatic colleagues out there: charisma is not a personality deficit. Nor is ego. By relying on concise rules and frequent rewards, principals say the PBIS approach to school-wide behavior management drastically reduces discipline problems and improves academic performance among all students. Stressing positive teacher-student relationships, empathetic adults, and differentiated consequences, the Love & Logic approach to behavior management has fans among teachers and parents. Included: Nine essential skills for teachers practicing Love & Logic. The Discipline with Dignity approach teaches educators to create positive motivators for kids so they take responsibility for their own behavior. Included: Examples of Discipline with Dignity in action. Weve all experienced them -- the student or parent who not only pushes your buttons but leans on them until relief seems impossible. Building relationships with students and keeping yourself calm when issues arise can mean fewer conflicts. In a proactive attempt to squelch "bullying" behavior before it even emerges, one school district embraced an anti-bullying theme. Students were encouraged across the ages and the curriculum to avoid bullying behaviors and to help the victims. Principals usually work in isolation, with few opportunities to share ideas. But since the Newport News Public Schools started pairing up elementary schools, more principals are sharing ideas, resources, talents, and strategies to make all schools successful. Making time in the school day to emphasize academics, tutor students who need help, schedule planning times for teams, or meet many other needs is a challenge all principals face. Our Principal Files team shares how they make time for these things and more. Big Test Pep Rallies: 2, 4, 6, 8 -- Taking Tests and Feeling Great! A little stress over tests can keep kids on their toes, but too much will knock them off their feet. Lowering test stress is why many schools are using the popular "pep rally" to get students excited and motivated to do their best. Included: Cheers, skits, and more. Can you recognize the Bricks, the Rebels, or Knowledge Royals in your school? Chances are you have some of those personality types on your faculty. Any or all of them can sabotage staff development efforts. But only if you give them the chance. Who was the teacher who had the most significant impact on your life? That’s the question we posed to our “Principal Files” principals. Their responses confirm that the most respected teachers are those who take time to build relationships with their students. When principals and literacy coaches understand what students are learning and teachers are teaching -- and participate in literacy lessons -- they set a positive tone for the school that can lead to improvement in reading, say author and educator Dr. Beth Whitaker. Is recess the most harried time of your day? A time when fights and visits to the nurse's office skyrocket? Before you eliminate recess, consider these principals thoughts about Sports4Kids, a program that has reformed their playgrounds and restored order to recess. Do you run your staff meetings like press briefings -- that is, read the news and run? More principals should use faculty meetings as opportunities for problem-solving and professional development, according to the authors of Energizing Staff Meetings. Too often, beginning teachers in urban schools or teachers new to an urban setting become frustrated when their students dont respond to them. Its not that they are bad teachers -- they just need to learn how to reach out more to students and their parents. Interviewing can be a grueling process. But aspiring principals can relieve the pain by heeding this advice from our Principal Files team. Included: Practice interview questions, sound advice, plus a few surprises that might be encountered along the way. Seldom does a day go by when most school leaders don’t learn something new about the importance of communication. Here, our team of experienced “Principal Files” principals share their thoughts and tips about best practices in communication. When armies of students descend on local libraries, it has to be time for the State of Jefferson Scavenger Hunt. The three-day event challenges kids to track down answers to a series of questions. The results include improved research skills, priceless memories. Concerned that administrators might not have enough input into NCLB-inspired criteria for assessing principals, a national principal association has offered criteria that include more than test scores. Included: NASSPs recommendations, comments from NAESP. Sometimes an outside perspective is what is needed to jump-start change. Some districts are committing to reform through long-term partnerships with foundations and centers that can provide consultants, money, and other resources. Principals can make a seemingly small windfall like $10,000 go a long way! Thats what we learned this month when we gave members of our Principal Files team $10,000 to spend. The principals offered wise tips for spending in ways that add true value. Many schools and communities use study circles to ensure that diverse perspectives are represented as they address issues such as the achievement gap, redistricting, building projects, racism, and bullying. Included: Tips for starting a study circle. American Education Week was first celebrated in 1921 as a way to help raise Americas literacy rate. Today, AEW offers a special opportunity for educators to shine a light on the great things they do. Included: Twenty-five ideas for celebrating AEW in your school. Are you a principal who is looking for a special way to recognize Childrens Book Week this year? You can share your love of reading and set a great example for students by reading aloud the five books nominated for the 2008 Principals Read Aloud Award. Hours of test preparation, especially in underperforming schools, has left little time for electives or even some of the un-tested basic subjects. Adding time to the school year and day has helped some schools improve their scores and flesh out their curriculums. Is This "It" for Tag? Schools in a handful of states have recently made news headlines by banning tag on their playgrounds. While school officials seek to make playgrounds safer, others disagree with the decision to eliminate tag. Included: Views from the trenches and the benches. There are hundreds of programs out there. Some claim to raise student achievement. Others aim to improve student behavior, stop bullying, or keep kids off drugs But do these programs work? Included: Principals share ten programs that work. Michelle Rhee only spent a few years as a classroom teacher, but during that time she developed a passion for helping underprivileged students. She plans to apply that drive and a commitment to high expectations as the new head of the DC Public Schools. Setting up and maintaining a strong volunteer or mentor program is not an easy task. But most principals who take time to recognize the immediate and countless benefits of establishing volunteer programs feel the extra effort is well worth it. Schools cannot afford to function independent of other segments of their communities. Now, more than ever, it is essential that schools form relationships with community members, groups, and agencies for the mutual benefit of the students and schools. Twenty-three students in George Pawlas's graduate educational leadership course recently interviewed experienced school administrators to learn, What two pieces of advice would you give to an aspiring administrator? Here is what they said. The words of a local dentist's grandmother have got me reflecting on what school principals can and should do for their internal and external publics and members of their immediate families. "Taking care" efforts with all three groups are vitally important. People who are resilient -- “realistic optimists” who adapt to changes and learn from mistakes -- often are more effective leaders. More administrators are learning what it means to be resilient. As principals, we feel an enormous amount of pressure to staff our buildings with strong, effective, intelligent people. If youve ever had to fill a teaching vacancy, you know how hard that is: Hard as a coffin nail. Included: Tips for getting the right people on the bus." Officials in one school district needed to know if their instructional interventions were working. They needed data reported more often than state tests could provide, so they created an online assessment tool that has improved instruction and raised test scores. Some principals have nightmares about cafeteria time. But with rules for traffic flow and behavior firmly in place, many principals say lunchtime can run hitch-free. Included: Tips for improving behavior, training monitors, and planning trouble-free recess time. So what was the best thing to happen in your school this past school year? Was it a special event? A school-wide effort that paid off? A special recognition? A kid who made great strides?... Read what our Principal Files principals had to say. Would you agree that manners, civility, and respect for decorum are values that are heading the way of the horse and buggy? Paul Young thinks so. He says a return to teaching manners in school must start at the top -- so take off those ballcaps! Paul Young: Have You Got Enough Love to Be a Mentor Principal? Have you got what it takes to mentor the next generation of school leaders? If youre a principal who has benefited from the helping hand and heart of a skilled mentor, youve no doubt picked up skills that will support you as you grow great teachers and future principals. Paul Young: Who Is Responsible for Unruly Kids? Community members finally had it with unruly students at a neighborhood bus stop. So they turned to the school for help. After being confronted, the principal knew he had to take action. But how would he handle this potentially dangerous situation? Youve all heard of SAD (Seasonal Affective Disorder), which is often triggered by the shorter days and longer nights of winter. But have you heard of BAD? Principal Paul Young offers his perspective and a few tips for managing kids who suffer from BAD. To students in a school, the principal often seems to be everywhere. While we know that is physically impossible, there are things that any principal can do to make it seem that way. A principals omnipresence sets a tone for a school and gives it a personality. Time. Busy principals always seem to need more of it. So why do they give so much of it away so freely? By gaining control of the time they do have, principals can save precious minutes every day and create more hours in a week for more important things. The job of a principal is not all that different from the job of a traffic cop. When gridlock forms in our schools, it is the principal -- the schools traffic controller -- who must make the quick decisions that drive achievement and remove barriers to improvement. The lessons Paul Young learned while learning to swim stick with him today. Learning to swim and learning to principal arent all that different, he says. Both require encouragement from trusted teachers. So are you ready to dive into the principalship? When it comes to being interviewed for that first principalship, all principals-to-be can benefit from the experience of a mentor. Mentors help their mentees focus on what must be said rather on what not to say. Included: Tips for aspiring principals. A runner for many years, Principal Kim Pavlovich has created a run/walk program that each week attracts teachers, parents, and more than half the student body to the school track. Included: Tips for starting this simple and inexpensive program in your school. If you have just been assigned to a new school for next school year, or if youre taking your first job as a principal, members of our Principals Files offer practical advice. Included: Tips from principals who have experienced a move or two or more. Whether it is simple butterflies or a severe case of "test anxiety," students can feel overwhelming pressure to succeed on high-stakes tests. But educators can provide the tools students need to do their best. Strategies included: Get ICE, sticky notes, more. Testing may not be a favorite activity, but it is here to stay. When the adults around them are nervous -- or worse yet, negative -- about standardized tests, students can adopt those attitudes as well. Included: Simple tips to help administrators facilitate a smooth test day. Pete Hall: Turning Teacher Evaluations on Their Ears The scheduling, the classroom observations, the reports, the checklists Teacher evaluation time is an exhausting time. Just ask our ulcers. But when you keep SITTM in mind, and pair it with frequent classroom walk-throughs, students end up the big winners. Former servicemen and women bring to the classroom unique management skills, flexibility in dealing with others, and the ability to respond to nearly any situation. Included: Three troops-turned-teachers talk about the rewards, difficulties of their new. Paul Young is past president of the National Association of Elementary School Principals (NAESP). And he is a troublemaker. But, as he describes in this essay, being a troublemaker is a necessary thing for strong school leaders to be. Since one North Carolina school district started using three-minute walk-throughs, principals have become more involved with curriculum, provided support for educators, and learned from students. Included: How a three-minute walk-through program works. Students Clean Up Their Act and "Dare Not To Swear!" At Bremerton (Washington) High School, the student-generated "Dare Not To Swear!" program has proven that students can be even more effective in reducing swearing than teachers. Included: Two schools approaches, plus Dare Not To Swear! poetry. The demands of the principals job cant help but take a toll on marriages and families. According to our Principal Files principals, keeping families intact requires plenty of effort, teamwork, a well-used calendar, and a cell phone with lots of minutes. Included: Principals offer their advice. Including special education students in "regular classes" and finding ways to meet their -- and all other students' learning needs -- should be the goal of every school, according to professor Dr. Mara Sapon-Shevin. Few educators may link school cleanliness with student performance, but cleaner buildings can mean higher attendance and more learning. Included: Tips for developing a comprehensive cleaning program that creates a healthier environment for all. With all the testing going on these days, it's hard to imagine doing more. But some schools are finding that assessing students throughout the year with short tests can improve learning and better prepare kids for the big tests. The idea is backed up by research. The federal mandate for schools to adopt written wellness policies has prompted many to focus on cafeteria and snack items as well as opportunities for physical activity. What have school leaders learned as they implemented new wellness policies? WATCH D.O.G.S. is a K12 program that makes it easy for father figures to spend meaningful time in a school setting. The program is overseen by a Top Dog volunteer dad who partners with the school administrator to identify opportunities for WatchDOGS dads. Too often new administrators are dropped into their offices with a list of expectations and little support -- not even a bottle of aspirin. But the Savannah-Chatham County (Georgia) mentoring program is designed to nurture and mold quality educators into quality administrators. After watching her bright brother drop out of high school, Dr. Jeryl (Jill) Martin wanted to find ways to keep kids in schools. Her efforts as principal to personalize education at Thomas B. Doherty High School helped earn her Principal of the Year honors. If you're not capitalizing on the expertise of your school's teaching team, you're missing out on the most effective professional development around. Ed World's "Principal Files" principals share their experiences with and enthusiasm for teachers-teaching-teachers PD. Are disruptive students inhibiting learning in your school? If so, the answer may be creating a place for them to refocus and regroup -- a "recovery room." With guidance, students can reflect on their mistakes and find ways to improve. Mixing at-risk high school and elementary-aged students might sound like a plan for perpetuating bad habits. But when asked to serve as mentors, the high school students stepped up, and they and their charges are learning about themselves and each other. Is it time to take a fresh look at your school's parent handbook? How can your school get more out of this essential resource for parents? Education World takes a look at ten handbooks from across the grades and shares what each one does especially well. The group Wavelength proves that professional development can be fun and full of substance. Using skits, music, and improvisation, the troupe zeros in on hot education topics. Included: Descriptions of Wavelength presentations. The idea of a single principal who can do everything is not working. Here are eight recommendations for reinventing the principalship to help reduce stress on current administrators and entice new candidates to the profession. Have you been to a conference session that truly inspired you? Have you run into a speaker whose message changed the way you do things? Improved your school? Improved your life? Our "Principals Files" principals name the speakers you must see! Making difficult decisions requires courage. A principal's acts of courage help ensure that all children learn. Those acts also serve as catalysts; they motivate colleagues to act with courage. Included: Sandra Harris offers ten actions of courageous principals. Educators know that children who read and are read to are more likely to become life-long readers. That's why many schools are using reading incentives -- from reading honor rolls to "prize patrols" -- to encourage kids. And they're reading more as a result. Most corporations have professional brochures that promote their history, goals, and results. So, asks George Pawlas, why shouldn't schools create brochures to boast of their history, their stats and awards, their community connections, and their visions and goals? School phone trees are being eclipsed by phone systems that can dial thousands of numbers in minutes and alert parents to emergencies, schedule changes, and even events, saving administrators time and stress. You've seen those celebrity-filled "Got Milk" magazine ads? Now it's time to meet the "Got Motto" poster principals! They're using school-wide slogans to spur enthusiasm, inspire teamwork, and build community. Included: Twelve mottos for your consideration. Pete Hall: Get Out of That Chair! While discussing morning rituals that would be meaningful for teachers and students, the staff at the Adams School in Castine, Maine, decided to introduce five daily pledges -- a different one each day. They got their inspiration from literature, history, and pop culture. Columnist Sandra Harris says principals make their schools stronger by valuing their students' diversity. By highlighting -- even encouraging -- diversity, they make kids who might feel "different" feel welcomed instead. They limit bullying and harassment too. Greater learning, a brighter future, less delinquency, and more funds for schools -- there are countless benefits to increased student attendance. Many schools are coming up with novel approaches to resolve their truancy woes. Will their ideas work in your school? Secretaries, custodians, cafeteria workers, crossing guards, and bus drivers are key personnel in creating a school's reputation. Education World columnist George Pawlas shares tips for capitalizing on the P.R. potential of your schools support personnel. Being a school principal is a tough job. But many principals stick with it because the joys of the job far outweigh the frustrations. Education World's "Principal Files" team recently reflected on what it is that gets them out of bed each morning! What's the Most Frustrating Part of Being a Principal? What are the biggest challenges faced by school principals? Members of our "Principal Files" team recently shared the downside of being a school leader. They reflected about unfunded mandates, kids who fall through the cracks, a lack of parent support, and more. Many high school students might groan about attending a school board meeting. But for senior Pallas A. Snider, serving on the Anne Arundel County school board is a chance to make her voice heard on issues important to the community and fellow students. Louisville, Kentucky, school officials wanted youngsters to get more out of their after school hours. With the help of a software program, schools share data with after-school program staff who develop content to address students' areas of weakness. Sandra Harris has seen firsthand how principals have handled the aftermath of Hurricanes Katrina and Rita. But not all disasters are natural ones. In the event of job loss, illness, death, and divorce BRAVO principals do all that they can to help faculty and students cope. Columbia Elementary's school motto is "Together We Can!" Together principal Lori Musser and staff members have adopted initiatives such as after-school clubs and intensive reading instruction to help students achieve. Research says that people base their opinions of schools on what children tell them. That's why principals should take a good look at their schools from a kid's perspective. Included: Tips for improving students' -- and parents' -- perceptions of your school. Have you mastered the 3 D's (Delegate it, Dump it, or Do it)? Could a "closed-door policy" help you better manage your time? Maybe you should set up "satellite offices" -- or find a hiding place? EW's "Principal Files" team offers those tips and more. How do caring principals show teachers and students that they care? Sandra Harris shares ten traits of caring principals that she has observed -- ten ways in which principals make teachers and students feel important, respected, recognized, heard, and included. Surveys say newsletters are the second most important source of information about your school. George Pawlas offers timely reminders about what to include in the newsletters you produce during the second semester. Included: "Fifteen Tips for Writing Right." Each January many schools celebrate the life of Martin Luther King by bringing to life his words and his dream. Learn what some schools, including three that bear his name, do to keep the meaning of this holiday foremost in the minds of their students. Do you have a school-wide policy? Do students earn a homework grade? What about late homework? Or the effects of homework zeros on student grades? Education World's "Principal Files" team members share their thoughts on those questions and others. Sandra Harris says principals who encourage others "rekindle the spirit" of their schools. Harris shares ten ways in which principals are encouraging teachers and students and, as a result, creating a school-wide atmosphere of encouragement and achievement. School-wide handwashing programs can improve the health and attendance of students and staff. If your school does not have a program in place, many resources are available to help you get one started. Included: Links to valuable free resources. As principal, getting out of the office and into classrooms can have countless benefits for your school. George Pawlas offers three easy and fun ways to get into classrooms more often. A couple of his ideas are accompanied by favorite classroom memories. Greetings, smiles, and eye contact may be standard customer-service training in the retail industry, but now it is moving into schools as well. Some districts are training all staff members, including administrators and bus drivers, to be more customer-friendly. Does your school use a yearlong theme to motivate students and increase student achievement? Education World's "Principal Files" team shares a dozen ideas to help others see the power and potential of using yearlong, school-wide themes. Author and EdWorld columnist Sandra Harris says that BRAVO principals follow three principles of effective communication. They are truthful, yet tactful; available; and active listeners. Included: Examples of those three principles in action during the school day. George Pawlas remembers the day he invited the newbie education reporter into his school. The guy hadn't stepped foot in a school in years! But that special invitation led to some great coverage. Included: Simple tips for getting good media coverage. In an effort to deepen the pool of qualified urban principal candidates, the Institute for the Mentorship of Urban School Leaders at Lehigh University was established to give proven school leaders the training and support needed to be effective administrators. With fuel prices rising to budget-breaking levels, school officials are re-tooling their spending plans for this school year to help cover the costs. Some have cut back on bus service, lowered building temperatures, and are looking at long-range remedies. When Ivy Hall School staff members were searching for a way to provide more individual support to struggling readers, they turned to Stevenson High School's service club, and found a supply of free, effective tutors. Does Your School's Atmosphere Shout "Welcome!"? Does your school's atmosphere shout "Welcome!" to parents, students, and staff? Our "Principal Files" team shares how they've created welcoming atmospheres in their schools. Most of their ideas are easy to duplicate. Learn from their ideas, share your own. Connect students and staff at the beginning of each day with a "morning assembly." Principals say a well-organized assembly establishes a positive tone for teachers and students and encourages community involvement. EdWorld columnist Sandra Harris says sharing power means acknowledging that every faculty member at your school is a leader. By empowering others, you inspire others, you build a climate of trust and respect, and good decisions get made! "Dressing appropriately" used to be a phrase with universal meaning. But in an age where flip flops appear in White House photos, some school districts want to make it clear how they expect all staff members -- including teachers -- to dress. George Pawlas learned early in his years as a principal that regular, informative communication from his office helped build support for his school. That's when he discovered the true value of parent newsletters. Included: Newsletter do's and don'ts. Too often administrators view parent involvement programs as neglected gardens. If by chance they grow and bear fruit, terrific. If they don't, it can't be helped. But a national institute says that, with some planning, all schools can grow parent involvement programs. Is your school crawling with volunteers? Or are you looking for ways to recruit more volunteers? In this article, our "Principal Files" principals talk about the benefits of volunteers and offer tips for recruiting them and recognizing their contributions. Many principals have days when they wish they weren't alone at the top. Mary Gentili and Jeanne Wall say they have found that working as co-principals gives them the help and support they need to efficiently run a school with 1,100 K-2 students. Sandra Harris teaches at a university near Houston, which has been a focal point of Hurricane Katrina relief efforts. She is witnessing firsthand the essential role that principals are playing in the effort to bring relief and normalcy to the lives of children and families. Is your school's cafeteria a place where you love to spend time, or is it a nightmare come to life? How can you make the lunchroom a more "orderly" place? Administrators share their best tips for improving atmosphere, behavior, and manners in the lunchroom. Parent-teacher conferences are an important part of any school's communication plan. And principals are in a position to help ensure that the first conference of the year sets a tone for future communication. Included: Tips for prepping parents and teachers ahead of time. Looking for an inexpensive, powerful way to remind your staff of why they embarked on a career in education? Try "I Stand For...," an activity that asks teachers to rise and name a student for whom they have made a difference. Tips for using this activity included. Most educators find themselves constantly feeling that they have too much to do and too little time. John Blaydes offers advice for mastering the three R's of resiliency, renewal, and reflection to keep you healthy and more productive. Author and EdWorld columnist Sandra Harris says creating a shared vision does not mean telling the faculty what your vision is. Harris walks through steps involved in creating an all-staff Vision Day. Plus ideas for sustaining that vision once developed. or many other topic of interest to principals. "I'm totally stressed out." Listen carefully when teachers repeat that routine mantra. The stress they're experiencing could affect their performance, students, and personal lives. But stress doesn't have to take a toll. Included: Effective stress-fighting strategies. Recruiting and hiring teachers for schools is hard enough -- so its frustrating if teachers leave after a year or two. A Houston, Texas, principal talks about the important role a principal plays in retaining teachers. You can tell great principals by what they do, what they say, and who works for them, according to educator, author, and speaker Dr. Todd Whitaker. They are the people who lead by example and recruit other effective people. Just think of Principal Ideas as a virtual show-and-tell for principals. Each week in the coming school year we'll present five new principal-tested ideas. Send in your idea today, get an Education World mug if we use it! See the article for information. George Pawlas, author of The Administrator's Guide to School-Community Relations, says every principal should carry a list of "six statements you can say with pride about your school." Pawlas offers that PR advice and much more in this EdWorld interview. What Makes Effective Teaching Teams Tick? Many of the most successful schools teem with the spirit of team teaching. Educators agree that teaming has huge benefits for students' academic and social growth, but what makes the most effective teams tick? Included: "Ten Commandments" for team teaching. What kind of culture pervades your school? Do staff members feel like a family? Or is it like a factory or a Little Shop of Horrors? One way to assess school culture, and then strive to improve it, is through the Center for Improving School Culture's triage survey. Green schools, which are built to rely more on natural resources or have extensive recycling and conservation programs, may sound expensive or a lot of work, but actually they save districts money in the long run, some experts say. Principals use walk-through observations to engage teachers in conversations about student learning. Included: Principals share the benefits of walk-throughs; how to initiate walk-throughs with teachers who might fear frequent classroom visits by principals. Evaluating teachers is a principal's most important responsibility. Education World's "Principal Files" team offers their advice for doing this process better. Included: What to look for, evaluation form options, walk-through tips and forms, tips for teachers, more. Before You Fly Off to That Conference Have You Thought of Everything? A big conference can be the best experience of your professional life -- or a big waste of time! To help you out, our "Principal Files" team shared their experiences. Included: Tips to help you plan for -- and get the most out of -- the next conference you attend. Being a principal is a stressful job -- no doubt about it! But principals do a great job of figuring out how to beat that stress. We asked our "Principal Files" team to share their stress-busting tips. Maybe some of these 30 ideas are ones you haven't thought of before. With so many families depending on cell phones, banning them from schools became pointless. Now the debate is how to regulate phone use in schools, as more students own camera phones and ones that can send text messages and connect to the Internet. They have taken the path from the classroom to the principalship and beyond, then gone back because they realized the lure of teaching surpassed their desire to sit at the helm. Included: Advice for school leaders who are thinking about returning to the classroom. To squeeze more family time into an 80-hour workweek, principal Michael Bremont moved his wife and four sons into a building on the school campus. The move fits in with his belief that showing students commitment nurtures success. Principals can and should assess the quality of graded student work in their schools. Yvonne Bender offers straightforward, simple suggestions for accomplishing this kind of assessment, which can improve instruction. Some districts are using cable TV to reach out to their communities. These "education stations" keep citizens informed and show the lighter, "human" side of faculty and administration. Included: Successful programming from two districts. School administrators often are so busy or so cautious that they don't get to know their local media. But developing good public relations, as well as a solid plan for marketing a school district, are easy to do and can pay big dividends. Since the traditional ways of training and finding new principals are not producing enough qualified candidates -- or enough who want the jobs -- a study by the Thomas B. Fordham Institute recommends looking to the outside for the next wave of school leaders. Most educators today probably would balk at the mention of more testing, but when results from interim assessments are used to tweak the curriculum and applied to individual learning, schools often see gains. Preventing a School Hostage Crisis in the U.S. The hostage crisis at a Beslan, Russia, school last month has raised questions about the safety of public schools in the U.S. A security consultant tells Education World why he thinks schools need tougher security measures. What makes a dynamic, effective high school department head? How can a department head improve staff morale? In what ways can creative conflict benefit group dynamics in a school department? Education World poses those questions and more to Rodney LaBrecque, author of Effective Department and Team Leaders: A Practical Guide. Has the Threat of Lawsuits Changed Our Schools? A recent survey revealed that most school principals have been threatened with lawsuits. That ever-present threat of legal action -- by disgruntled parents or teachers -- can affect the way principals work and schools run. Included: Tips for handling the threat. Have you been looking for a quick and easy way to promote your school's finest qualities and its best ways for the community to get involved? South Carolina principal Ann Mohr has a great idea for you, and it all begins with the alphabet! With a ballooning deficit and shrinking resources, Mundelein High School District 120's superintendent decided in 2003 to pare down its administrators' ranks by almost half. While there have been challenges, staff members are making the new system work. Teachers have seen the value in using rubrics to assess student work and behavior. Now some principals are using them as a tool for monitoring and modifying behavior on a school-wide basis. Included: Examples of behavior rubrics. Raising test scores is a goal at the top of all principals' lists. It's a task that requires focus and a multi-pronged approach. In this article, Ed World's "Principal Files" team shares strategies that have helped them boost sagging scores -- strategies that could work for you too. Twenty-Five Activities for Building Student Character, School "Community"
In an already packed school day, finding time for character education can be a challenge. Most of these 25 activity ideas can be worked seamlessly into the school day to build student character and to develop a sense of community in your school. Staff scavenger hunts are a fun way to kick off the year and help new and returning faculty members get better acquainted. Armed with a list of descriptions, staff members "hunt" for a person who matches each item on the list. Principals Share "Best Meetings of the Year"
It takes only one waste-of-time meeting to give all staff meetings a bad name. That's why we asked our "Principal Files" team to share a meeting that went exceptionally well. You're sure to find ideas here to help you pump up the value of meetings in your school. Is it any coincidence that the word principal begins with the letters PR? Many principals overlook the importance of strong public relations, but these principals recognize the important role PR can play in creating a "buzz" about their schools. They are reliable and passionate, and they bring learning and love to urban classrooms. They are Experience Corps volunteers, retirees recruited and trained to tutor students and assist teachers. Volunteers and educators alike have nothing but praise for the program. It's springtime, which means it's also the beginning of job-interview season in schools. Since principals are starting to interview candidates for open teaching positions, we asked our "Principal Files" principals to share their favorite questions to ask applicants. Are morning announcements at your school deadly dreary and dull? Education World's "Principal Files" team shares how they have used their daily announcements to build school "community." Included: Ideas for spicing things up, getting kids involved, more. Startled by the large number of failing students, principal David Chambers made making up missed homework a mandatory activity. The policy has produced more honor students, raised GPAs, and improved teacher morale. Could it work for your school? Tips included. Losing a child, especially in a crowded, unfamiliar place, is every parent and teacher's nightmare -- and a real concern during fieldtrips. Now, a wristwatch-size Global Positioning System receiver can allow students to be tracked and located within minutes. Too often, educators find themselves choosing between social promotion and retention, when neither benefits children. Some districts have found that intensive intervention in the early grades can eliminate the choice between two unappealing options. When we asked our Principal Files team to share the ways in which their schools celebrate students' accomplishments, we had no idea how many and varied the responses would be. Included: Practical ideas, food-for-thought for all school leaders. How deep is the snow? How fast is it falling? Have their been any accidents? What is the wind chill? That is just some of the information that administrators process on cold or snowy winter mornings as they decide whether or not to close schools. It's not always easy. Five principals share how they faced -- and overcame -- obstacles to inclusion. In spite of budget and staffing constraints, they are committed to educating kids in the least restrictive setting. Included: Ideas for creating an inclusive environment. After working with students and teachers as a school custodian, Jack Yates knew he wanted to be an educator. With support from family and colleagues, Yates earned two degrees, and now is an elementary school principal. For administrators looking to increase student reading at school and at home and improve parent involvement, family reading nights have proven successful for many schools. 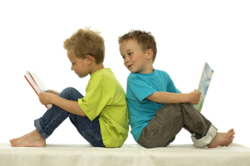 Included: Practical suggestions for initiating a family reading night program. What do principals do? That's the question we asked our "Principal Files" team last month. They told us what they do, and here are their responses -- from A to Z! Included: Contributions from more than a dozen great principals. After years of working in isolation, a group of Milwaukee principals decided to collaborate rather than compete. Principals create yearlong themes, share problems and strategies, and advocate for all students. Included: Descriptions of the group's programs. An educator for 34 years with solid union experience, Baxter M. Atkinson, new president of the American Federation of School Administrators (AFSA), is ready to tackle education issues in the national arena. Getting parents involved is no easy task. But Education World's "Principal Files" team offers some great ideas for school-wide events that are sure to draw parents in large numbers. Included: More than 30 events to add to your school calendar! As student-led conferences grow in popularity, educators are finding ways to improve their flow and productivity. Preparing students and parents for what's involved and practicing before "going live" can help. Included: Tips from K-8 teachers. In the midst of an epidemic of principal burnout, Robert Yeager has come out of retirement to lead a school that has had four administrators in only seven years. What keeps this seasoned educator going? And what lessons does he have for others? Schools and businesses are working together to benefit students, teachers, and entire communities. Successful partnerships can be found across the grades, in schools large and small. Included: Ideas, tips for successful school-business partnerships. Tired of low student turnouts on the first few days of school, Hartford, Connecticut, principal Dr. Robert E. Morris decided to remind parents about the opening of school. In person. Staff and community members joined Morris walking door-to-door. Retreats can be the perfect way to re-energize faculty, flesh out new programs, and help people get to know one another better. While getting away is a treat, some creative activities also can make an in-house retreat productive and fun. Are you a first-year principal? A veteran with many years under your belt? Doesn't matter! All principals will learn a thing or two from this article about making the first day of the new school year a smooth one. Included: Tips for a great first day! What Would Dad Say About Education Today? Father's Day is just around the corner. With that in mind, principal Paul Young considers what his did might think about the state of education today. Down-home stories and common sense prevail in this principal's touching tribute to his dad. With school starting at 7:30 a.m., extracurricular activities stretching past 8 p.m., and jobs and volunteer work as well, sleep often falls to the bottom of the adolescent priority list. An after school Power Napping Club gives teens a chance to just relax. High school administrators who have pushed back their schools' starting times to coincide with adolescent sleep cycles report fewer discipline problems, less tardiness, and happier and more alert students. Managing Difficult People: Turning "Negatives" Into "Positives"
You find them at staff meetings, in the classroom, and even at social occasions. They are the always-negative people whose outlook drains everyone's energy. How do you counteract their negativity so you can maintain an upbeat workplace? Tips included. Long popular in the business world, the FISH! philosophy developed by ChartHouse Learning is rapidly fans in education circles as well. Employing FISH! 's four guidelines in their schools has brought spark back to working and learning, principals said. Dr. Walter Tobin, interim superintendent of the Calhoun County, South Carolina, Public Schools, talks about ways of motivating teachers to use technology in the classroom more extensively and efficiently. Once a year, professionals get to leave their own offices and visit the principal's office through the Principal For A Day program. The nationwide initiative gives business people a crash course in school administration in the 21st century. Have you special plans for Teacher Appreciation Week? Are you searching for new ways to show your teachers how much you appreciate their efforts? Education World's "Principal Files" principals share 65 ways to show your appreciation! In-service teacher training is a popular approach, but it might not always be the most effective way to nurture professional growth. Angela B. Peery shares thoughts about video, journals, study groups, and other effective professional development strategies. With education budget cuts continuing, there is no relief this year for administrators trying to meet an ever-shifting bottom line. Superintendent of the Year Dr. Kenneth Dragseth plans to advocate for children, education needs. Members of Education World's "Principal Files" team have turned mistakes they've made into valuable lessons that they are willing to share with you. Included: Lessons learned about student discipline, involving parents, and school poli-tricks! Barely ten years into an education career, Patrick J. Bathras has gone from the classroom to the assistant principals office to the national spotlight as ASCDs first Outstanding Young Educator of the Year. Bathras recently sat for an Ed World e-interview. With terrorism advisories and talk of war commonplace, school principals need to create and test terrorism preparedness plans of their own, according to some school security consultants. Included: Recommendations for developing and implementing a plan. Almost everybody agrees that strong classroom management skills are essential to successful teaching. So what is a principal to do with a teacher who has great potential but needs help with classroom management? Our Principal Files team has a plan! Does your schools involvement with the First Amendment consist of one or two civics lessons a year? Find out how you can use your school as a mini democracy lab, applying the First Amendments five freedoms to school governance and everyday issues. More and more schools are discovering the professional development and student performance benefits that occur when teachers observe their peers. Included: The benefits of teacher-to-teacher observations -- for the entire school. "Outstanding principals know that if they have great teachers, they have a great school," Todd Whitaker, author of Motivating and Inspiring Teachers, told Education World. In this Wire Side Chat, Whitaker shares his tips for motivating teachers. Most administrators recognize the need to get parents involved in school activities, but often efforts to draw them into the educational equation yield disappointing results. Included: Strategies for Parent Days, parent teams, more! Last summer, principal Addie Gaines read about a strategy called Story Bits. This fall, that strategy is exciting students -- and their parents -- about reading and its improving reading comprehension. Included: Ideas for implementing Story Bits at your school! Dr. John Lawrence, the new AASA president, recently talked with Education World about reaching out to members, training new administrators, and monitoring national issues. Education World explores two essential questions -- What constitutes an excellent teaching team? and How can teachers strengthen their teams? Included: Practical tips to share with teaming teachers! Hoping to change urban education one school at a time, Jonathan Schnur and some colleagues founded New Leaders for New Schools, a training program for principals. By meshing coursework, on-the-job training, and mentoring from administrators and executives, New Leaders hopes to produce principals who can turn schools around. A principals day can be full of surprises. In this article, Education Worlds Principal Files principals share the courses they wish they had taken before they took on the job. Included: Ten courses universities might be wise to offer! Making time for a focus on instruction is very difficult, said Joy Hood, a coach with a principal leadership program in Denver. We help principals see which of their daily activities add value to their role as an instructional leader Education World writer Sharon Cromwell recently interviewed participants in Denvers program. Its the Principal of the Thing! Numerous studies confirm that nearly one third of new teachers leave the profession within five years. Why do they leave -- and why dont they stay? Columnist Linda Starr suggests that principals are one of the biggest deciding factors! When All Else Fails, Turn to the Survival Kit! Though the new school year may seem daunting on the first day, survival kits can help teachers and students feel welcome and inspire them to start the year on a positive note. Ingredients can include bandages, Life Savers, and pennies. Stuck for ideas for effective staff meetings? Looking for ways to make sure everybody is present and interested? The Education World "Principal Files" team has some ideas for you! "School culture is the set of norms, values and beliefs, rituals and ceremonies, symbols and stories that make up the 'persona' of the school," says Dr. Kent D. Peterson, a professor in the Department of Educational Administration at the University of Wisconsin-Madison. Education World recently talked with Peterson about the differences between positive and negative school cultures and how administrators and teachers can create a positive culture in their schools. Are Your Students Sleep Deprived? The problem of sleep deprivation in adolescents is well documented. But what about sleep deprivation in younger students? Is a lack of sleep interfering with your students' learning? Education World recently talked with two experts about the effects of sleep deprivation on elementary school students. Principal Marilyn Prall was about to lose assistant principal Martha Deichler, who was moving up to head another school. Then Prall had an idea for "an alternative leadership model" for Vista Square Elementary School. She persuaded the district superintendent to allow her and Deichler to lead the school as co-principals. Their partnership was launched when the school opened in July, and the hard work and the fun haven't stopped since. Are all your teachers aboard the tech integration express? Did a few miss the train? This week, the Education World "Principal Files" principals share their perspectives on how tech integration is going. For some, the obstacles loom large. Others are using special incentives to motivate teachers to join the technology team. In schools, as in business or government, accomplishing change is never easy. In 1996, Boston schools embarked on a rigorous, multi-year "whole-school change" initiative. All of Boston's public schools are now part of that change effort, which is driven by the learning needs of students in each school. Whole-school change, literacy, and math coaches have been deployed throughout the system to train and support Boston educators. Recently, Education World spoke with administrators, lead coaches, and a teacher for a close-up look at how this coaching approach is working in Boston. The principal's job can be a difficult, high-stress one. But it's a job that most principals would never think of giving up! So what do they see in the job? This week, Education World's Principal Files principals share the joys of the job along with words of encouragement for educators who might be considering a career path that leads to the principal's office. A recent study by Public Agenda documents principals' feelings about their jobs. Today, Education World does its own survey. Our Principal Files principals share their thoughts about the best and worst "principal tasks." New Handbook Identifies "What Principals Should Know and Be Able to Do"
NAESP is moving the principalship into a new era with the publication of Leading Learning Communities: Standards for What Principals Should Know and Be Able to Do. This new book takes a fresh look at the role of the school leader by addressing the need to focus on instructional leadership while balancing management responsibilities. It identifies a ten-point call to action and urges the support of policymakers. It also offers the latest findings from research and practitioners, along with an extensive bibliography and supportive information. The research organization Public Agenda recently released the results of a survey of more than 1,700 school superintendents and principals. Education World shares some of the major findings published in the Public Agenda report "Trying to Stay Ahead of the Game: Superintendents and Principals Talk About School Leadership." Leading the professional development of teachers is one of the greatest challenges school administrators face. Because teachers put so much energy into teaching every day, they often don't find time to imagine their work in a larger context. That's why Principal Jim Thompson launched a Book Talk program in his school. Thompson shares how he uses Book Talks to inspire teachers and to integrate continuous learning into his teachers' school day. To help celebrate Children's Book Week, we thought we'd ask school principals to recommend the "best professional books" around! Parents are an essential component to a successful educational program. Often overwhelmed by work and family needs, their "free time" is also in demand. How can schools do more to encourage busy parents to get more involved in their children's school activities? Find out on the Internet! Involving parents in their children's education can prove difficult, especially when those parents speak a language other than English. In the Houston (Texas) Independent School District, assistant superintendent Jaime de la Isla found an innovative approach designed to reach Spanish-speaking as well as English-speaking parents. The school district airs a live interactive talk show -- Parents' Voices, or Voces de los Padres -- in which parents participate. A Texas transplant, former high school assistant principal Donald W. Salm told Education World he is impressed with the caring staff and community members he has met since taking over as principal of Beatrice Rafferty School on the Passamaquoddy reservation in Perry, Maine. Salm talked with Education World news editor Ellen R. Delisio last spring about life on the reservation and his goals for the Beatrice Rafferty students. This article is a part of a continuing Education World series Lessons from Our Nation's Schools. After 31 years in the Air Force, Major General John C. Fryer Jr. was inspired to enter educational administration by the superintendent of Seattle public schools, a retired Army officer. Fryer's goal now is to lead the "finest school district in America." The Education World Principal Files principals have dozens of years of "principal-ing" under their belts. So we turned to them to try to help this year's crop of new principals. Advice from our P-Files principals includes the following: Listen to your staff, from the kindergarten teacher to the custodian. Don't take teachers for granted. Don't forget the kids. And don't neglect your own family! What is your school's mission? If you have to search through your handbook or you can't recall the entire lengthy statement, you probably aren't making the most of your school's mantra! How can you make your mission statement more meaningful? Bring it into the classroom and give it vision! Dr. Bruce Whitehead is the principal of Hellgate Intermediate School and an associate professor at the University of Montana. He designed and implemented a model for classroom technology centers that earned him the National Distinguished Principals Award from the National Association of Elementary School Principals. In this article, Whitehead shares "seven golden nuggets" -- seven tips to help ensure the success of your school's technology implementation plans. This article is reprinted by permission of Bruce Whitehead. From the Principal Files: Has Accountability Taken All the Fun Out of Teaching and Learning? Does the accountability movement in schools force teachers to spend more time teaching to the test? Does the emphasis on testing take all the fun out of teaching? Education World's Principal Files principals share their thoughts about the impact of standards and testing on classroom teachers and students. Michelle Pedigo is a leader with a vision of a "kids first" middle-level learning community. Her dedication to academic excellence, developmental responsiveness, and social equity embodied by her innovative and challenging reforms at Barren County (Kentucky) Middle School (BCMS) earned Pedigo distinction as the MetLife/NASSP National Middle Level School Principal of the Year for 2001. Education World speaks with Pedigo about her role as middle school principal and about the most meaningful reforms she oversaw during her tenure as principal of BCMS. An apple for the teacher? Banners in the sky? How will you celebrate Teacher Appreciation Week? Learn about the gestures that touch educators' hearts. This week, Education World reports what teachers say makes them feel honored and valued. David Levin, the KIPP Academy Charter School principal, talks to Education World about how the KIPP philosophy of hard work helps students achieve. In this interview, part of the Lessons from Our Nation's Schools series, Levin explains that there can be no excuses, from either the students or the adults in charge of their learning. A study of ten urban female superintendents shows that although race and gender have played a role in their careers, strong role models and family support helped them. During the National Association of Elementary School Principals (NAESP) convention, school psychologists and principals will staff a national hotline for three days. Children, parents, grandparents, or anyone who has an education-related question is invited to call or e-mail questions. Are employment decisions at your school "color-blind" -- or are they colored by racism? Are you sure? Sociologist David T. Wellman offers criteria to help you recognize -- and eliminate -- unintended racism in your district's employment decisions. The Department of Education has designed a toolkit to help school administrators overcome obstacles to accomplishing quality professional development. Education World assistant news editor Ellen R. Delisio talks to Donald R. McAdams, author of Fighting to Save Our Urban SchoolsAnd Winning! Lessons from Houston. McAdams, a Houston Board of Education member, discusses the board's push for reform beginning in 1990 and how board members and the superintendent worked with residents and the business community to improve student performance, accountability, management, and teacher performance. Included: Twelve Lessons from Houston School Reform. A study of Buffalo schools by the Council of the Great City Schools recommends changing the district's management and organizational structure to ultimately lead to greater student achievement. Eric J. Smith, superintendent of schools in Charlotte-Mecklenburg, North Carolina, was named the top urban educator in October. He earned the award for improving student achievement in the 103,000-pupil school system. A solid foundation in basic skills and rigorous secondary courses are some of the ingredients in Smith's recipe for success. From the Principal Files: The Principal Shortage -- What Can Schools Do to Attract a New Generation of School Leaders? Education World asked our "Principal Files" principals to suggest some ideas that might help grow the shrinking pool of qualified school leaders. Today, we share their responses! Included: Read their replies -- some common sense, others provocative! "Core values allow the school community to remain focused on what's important," says Marilynne Quarcoo, principal of the Cabot Elementary School in Newton, Massachusetts. Today, Education World guest editor Elaine L. Lindy documents the process and benefits of creating a set of core values at any school. Included: Tips for helping your school team develop a dynamic list of core values. As policy makers look for ways to fix the nation's ailing schools, many eyes focus on Chicago's four-year-old effort to end social promotion. Although more students pass the city's standardized tests, half the students who are retained continue to struggle. Nearly a third of the students who repeat a grade drop out when they turn 16. Education World recently surveyed 43 principals to learn what they consider essential traits of successful school leaders. Vision, trustworthiness and credibility, daily visibility, and a sense of humor were among the ten traits that topped the list! Included: Principals comment on the most important characteristics of strong leadership! What's the secret to the success of a strong school administrator? And how do you figure out that secret? For many, the secret is learning from their mistakes. This week, Education World's Principals Files principals own up to some of their biggest mistakes -- and, therefore, their biggest opportunities to become better school administrators! These principals share how they learned the importance of communicating, of quiet leadership, of understanding where kids come from -- and of making copies of anything ever sent to the district office, because the originals are sure to get lost! Site-Based Management: Boon or Boondoggle? Site-based management is great -- when it works! Today, Education World looks at research on SBM. We talk with a prominent superintendent who leads a large school system in which site-based management has garnered accolades. Learn what that superintendent has to say about making SBM work! Can Non-Educators Lead Our Schools? Roy Romer, a former Colorado governor, was selected last week to lead the schools of the Los Angeles Unified School District. Romer is the latest non-educator to lead a large urban school district. What drives school districts to look outside education for leadership? Is this a trend or another experiment bound to fail? Is the Superintendency in Crisis? Part 2: How Will the Next Generation Handle Increased Challenges? In Part 2 of "Is the Superintendency in Crisis?" Education World examines how a new generation of superintendents might handle the challenges of adversarial school boards, special interest groups, financial constraints, and more. Three experts offer their points of view. Two recently published national studies from the American Association of School Administrators (AASA) take a close look at the state of the superintendency. In Part 1 of "Is the Superintendency in Crisis?" Education World looks at those reports, which suggest that today's superintendents enjoy some stability and a high level of job satisfaction. The reports reach different conclusions about whether the superintendency is in crisis. Included: Education World speaks with the authors of each report and with others close to the issues. Each day, principals make dozens of decisions -- small decisions and big decisions, decisions that may have minor consequences or major consequences for their staff and students, decisions that affect one person or an entire community. For one week last month, seven of the Education World Principal Files Principals tracked the decisions they made each day. Education World compiled those decisions to paint a picture of "a week in the life of a principal." Good teacher movies draw future teachers into the profession and reinvigorate seasoned veterans. Often based on real-life events, the films show teachers reaching deep inside themselves in order to touch the lives and hearts of their students. This week, Education World reports on an e-survey of teachers around the country to find the ten teacher movies that resonate most strongly with todays educators. Included: A message board link so you can weigh in with your favorite teacher movie! How have some Chicago schools improved student reading performance? Leadership is essential -- leadership and 13 practical strategies to nurture concrete, measurable gains in reading! This week, Education World tells what principals and teachers do in some of Chicago's most successful schools and how they do it! Included: How to get a copy of the "Leave No Child Behind" study that documents the 13 keys to success! From the Principal Files: Advice for First-Year Teachers --- From the Principals Who Hired Them! Most principals were teachers too. (Once upon a time they were even first-year teachers!) Since becoming principals, they've had the opportunity to observe many first-year teachers -- and to see many of those teachers make many of the same mistakes! Do you want to be a better principal? Maybe you're thinking about becoming a principal and wondering if you have what it takes. This week, Education World's Principal Files principals tell about the "principal qualities" that are most important to being a successful school leader. Included: Links to other resources that provide further insight. From the Principal Files: If You Had a Choice, Would You Still Be a Principal? What draws some educators to become school principals? What keeps them on the job? That's the question Education World asked our Principal Files principals this month. Perhaps some of what they have to say will inspire you as you go about your daily routine. Tenure or a Higher Salary -- Which Would You Take? Principals in New York City were recently offered $25,000 pay raises -- in exchange for concessions, including giving up tenure. Given such a choice, what would you do? Education World's "Principal Files" principals add their thoughts to the debate. Education World recently asked principals, "If you could ask for and receive one gift for your school, what would that gift be?" Take a look at what they said! Students at Orangewood Elementary School (Phoenix, Arizona) share their unique perspectives on what their principal -- Dr. Peggy George -- does! Many states are testing new principals and eliminating established principals' tenure. Will these measures improve our schools? And after the dust settles, and all evaluation is complete, will there be enough qualified principals left to staff our schools? From The Principal Files: Principals Search for Words to Rally the Troops! It's the end of the school year -- a stressful time for everybody. Time for a break! Check out some education humor on the Web. Share a story or two with your teachers to lighten their load. School systems are finding fewer and fewer qualified applicants when they need to hire school principals, according to a new study by the NAESP and NASSP. Looking for a few good principals. "Leadership stories" is an approach used in the educational administration program at Colorado State University. Current school administrators serve as mentors, offering their experiences -- their "leadership stories" -- to the next generation of school principals. When some future historian tallies up buzzwords of the 1990s, "vision" will be high on the list. A recent ERIC Digest looks at a make-or-break talent that many leaders possess. The American Association of School Administrators (AASA) has introduced a new e-mail listserve called the SUPER-LIST for school leaders with district-wide responsibilities.